Several years ago my son-in-law was killed in a tragic car accident in late summer. The first holiday season was especially hard on all of us as we embraced his daughter, only 5 at the time, and my daughter. These tips helped us navigate those first holidays and as time has passed continue to provide solace when poignant memories surface. I don’t feel cheerful, happy, or grateful. This time of year, we are inundated with messages to be happy, be of good cheer, and to be grateful. What happens if you don’t feel cheerful or happy or grateful? 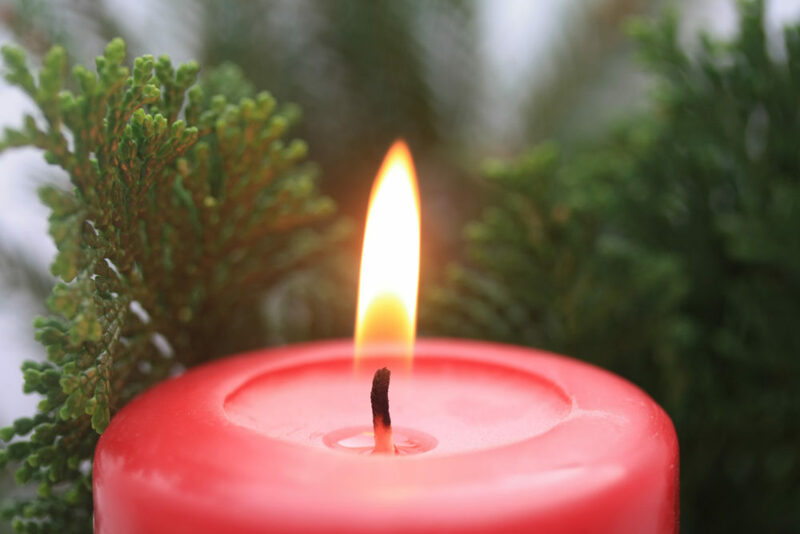 What if you are grieving during this holiday season? What if you’ve lost a loved one, or a dear friend or family member either through death or estrangement and this time of year only highlights your loss? Give yourself permission to be sad. So what would happen if you gave yourself permission to be sad during this time of year? To take time away from the festivities and be quiet? To be alone with your grief? To simply put one foot in front of the other, get up, and do only what needs to be done each day? Do not be afraid of your feelings, your tears, or your sadness. Some of us are afraid of our tears, as if we will never stop crying. Others are afraid to be alone, as if loneliness will somehow engulf us. And still others are afraid to be quiet, afraid of stopping long enough to feel emotional pain. Our spirits know exactly what we need for healing, the same way our body heals wounds without our conscious orchestration of the process. Below are some tips to facilitate that spirit healing during this holiday season and winter time. Be still. “Love winter, when the plant says nothing.” This quote by Thomas Merton validates that even though we may feel down during this season, our spirit is healing. Spend time in the quiet. If you have a favorite place to sit, sit. If you are afraid to do this, or have a hard time sitting still, set a timer for an amount of time that feels comfortable to you. Have a box of Kleenex handy. Have pen and paper ready if you feel like writing. Let go of any mental “shoulds” or negative messages about how to be quiet or about sadness. You have every right to feel the way you are feeling and sometimes, allowing the feelings to come can be a great relief, even if only temporary. Combat the gray Because this time of year can be full of gray days, they can mirror the grayness we are feeling inside. Combat the gray by lighting a candle and reflect on its warmth. Light a fire in the fireplace and notice all the different colors. Go for a walk outside, weather permitting, as even on gray days, the light outside is uplifting to our brains. Replace ordinary light bulbs in your home with bulbs that replicate natural light. Spend time with others. Reach out to someone else who is lonely, or grieving. Remember, if reaching out is hard for you, it probably is for others, as well. You might spend some time sharing your grief, and then plan an activity together. Members of 12 Step programs have found the fellowship of other members to be one of the greatest gifts during holiday seasons, especially if family relationships are strained. Create a new ritual or tradition. Invite others who loved your love one to a holiday memory party. Share stories, photos and favorite foods as a way to celebrate your loved ones gifts to you. And pass the Kleenex. Tears are healing. Shared tears are healing and bonding. Spring ALWAYS follows winter. At the end of each day, if you put one foot in front of the other, know that your perseverance, your steadfastness is enough. Feelings will change. Spring always follows winter.